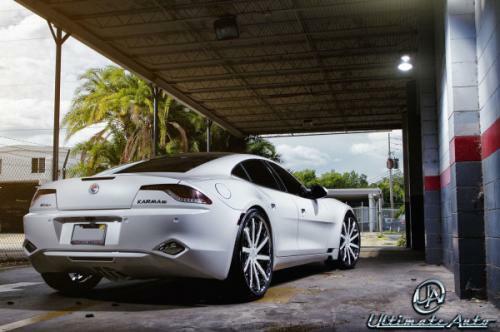 Ultimate Auto prepared a new styling kit for the Fisker Karma, a package which brings a series of styling improvements at the exterior. 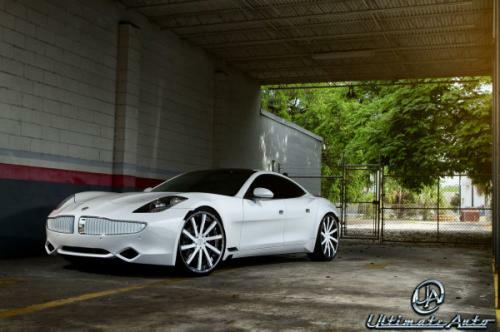 As you probably know, Fisker faces a quite bad situation as the production came to halt last year due to financial issues. However, for anyone owning the American model, Ultimate Aero’s new kit comes handy. 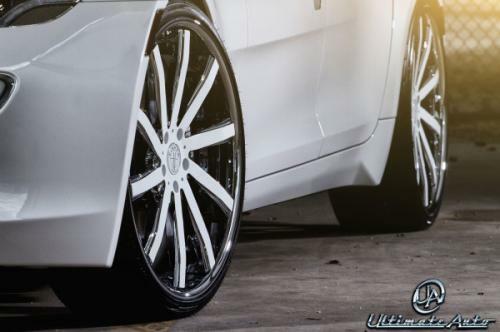 At the exterior, customers will get a new set of 24-inch alloy wheels which match the exterior color. Speaking of exterior finish, Ultimate Aero provides a matte white color, new trim, smoked optical blocks and few other minor tweaks. 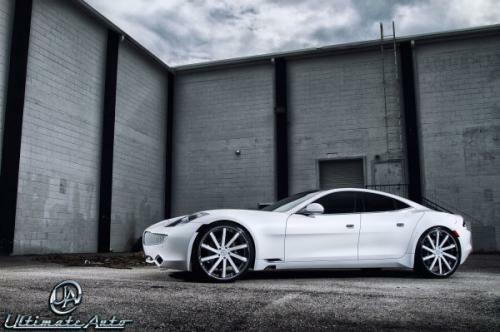 Few months ago, the Fisker Karma received one of its first packages, developed by the specialists at CEC. It is true that a model built in a quite limited series won’t get too much attention from tuners but nevertheless, these tuning kits are surely not useless.